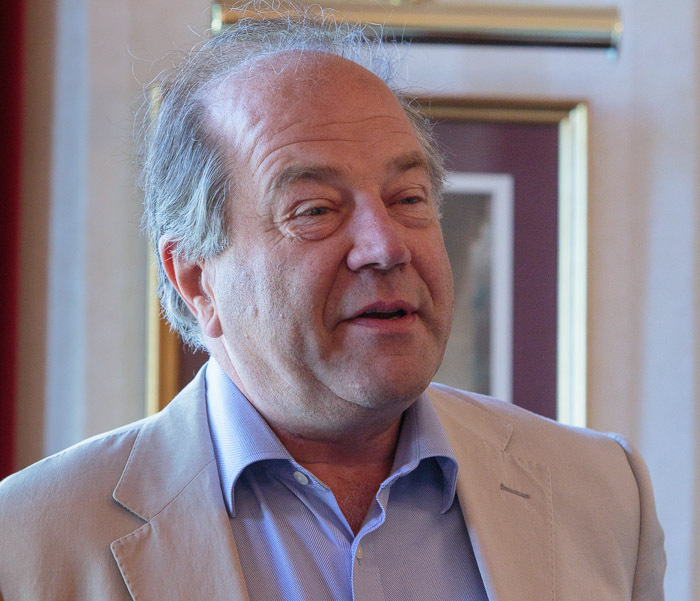 Our September speaker was Sir Henry Aykroyd (CEO of Intelligent Growth Solutions). Henry was born into an entrepreneurial family and was destined to join a family textile business. However, this was taken over in 1971 and in 1972 and Henry decided to go to university to study for an MA in Economics. His big choice came in 1976 – attend Harvard or pursue farming! It was a great time to go farming . As a tenant farmer he started grain farming in partnership with his landlord, later growing his business to the point that he owned 1,000 acres and was farming 3,000 acres of vegetables. He expanded his business fast as new technologies came in during the 1970’s and 1980s. The business diversified into, strawberries, daffodils, potatoes, carrots, swedes and high tech refrigeration with Nestle. In the late 1980s Henry pioneered late season carrots and by mid-1990s grew 30% of UK carrots (supplying Tesco, Sainsbury, Safeway etc) for the six weeks mid-April to mid-May. At this time the business was hugely profitable. It was expanded into East Germany and the business also started a joint venture with Californians for producing Carotini snack carrots. Henry’s businesses (Howegarden and Aberdeen and Moray Growers) were growing 3,000 acres of root vegetables and employing 200 people by 2000. He was also growing 800 acres of potatoes in a joint venture with United Biscuits and ConAgra. In 2000 Henry formed TIO as Tesco’s dedicated organic carrot supplier (it still is today) and in 2002 he formed a farm paper and fibre business based on hemp.